Oil on panel, 30 x 24 in. 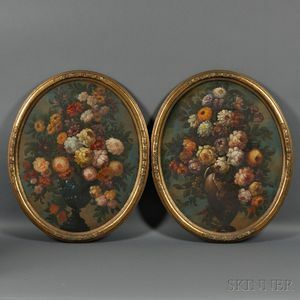 (76.0 x 61.0 cm), in oval frames. Condition: Craquelure, varnish inconsistencies, surface grime. Provenance: Estate of Ada Louise Huxtable, architecture critic for The New York Times.